After bathing there, he spoke on the Shrimad Bhagavatam. Many Mayavadians hearing of his arrival decided that if he defeated them in debate, they would become his disciples. 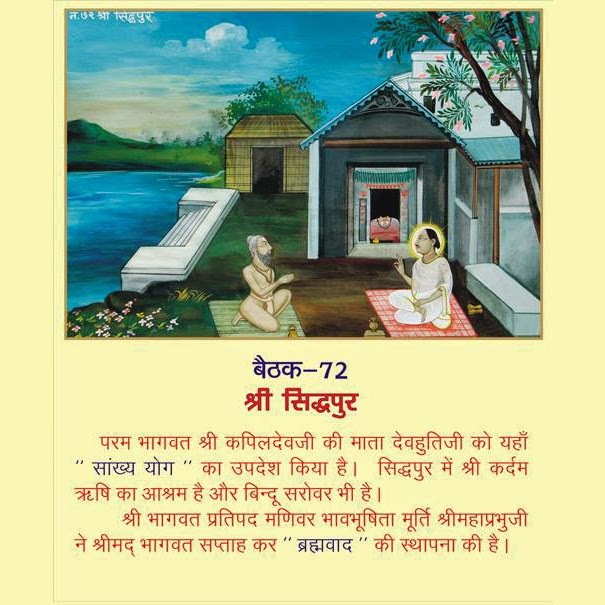 After discussing for a short while the import of the scriptures, Shri Mahaprabhuji proved to them the truth of his teachings and many souls took his refuge. From where he proceeded to Avantika puri.